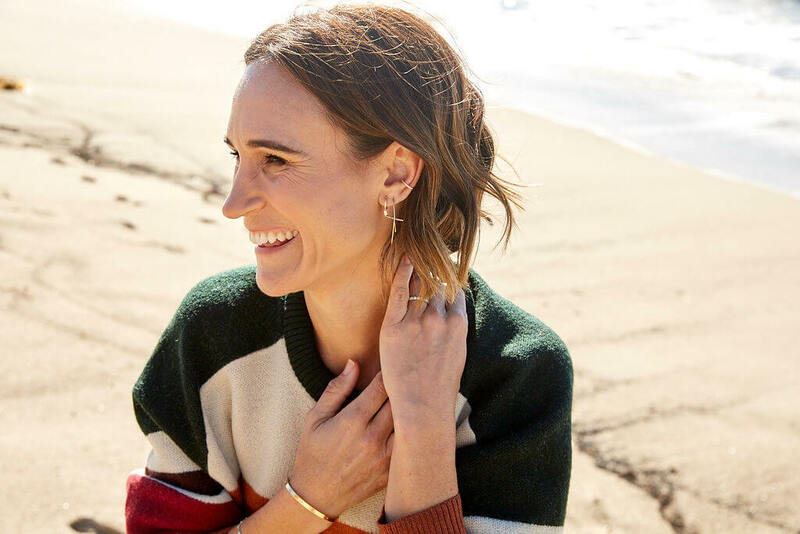 Having trouble keeping track of all the earrings over the years? 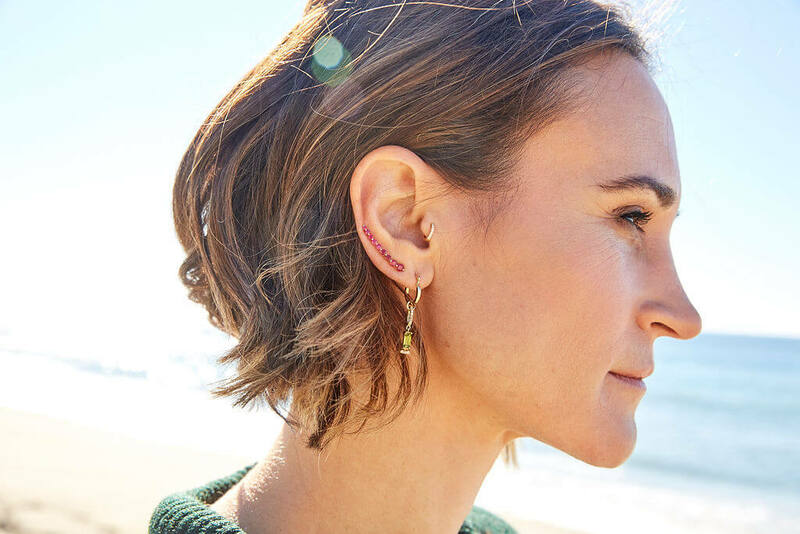 Then you might be at a serious advantage with the latest accessory trend: mismatched earrings. 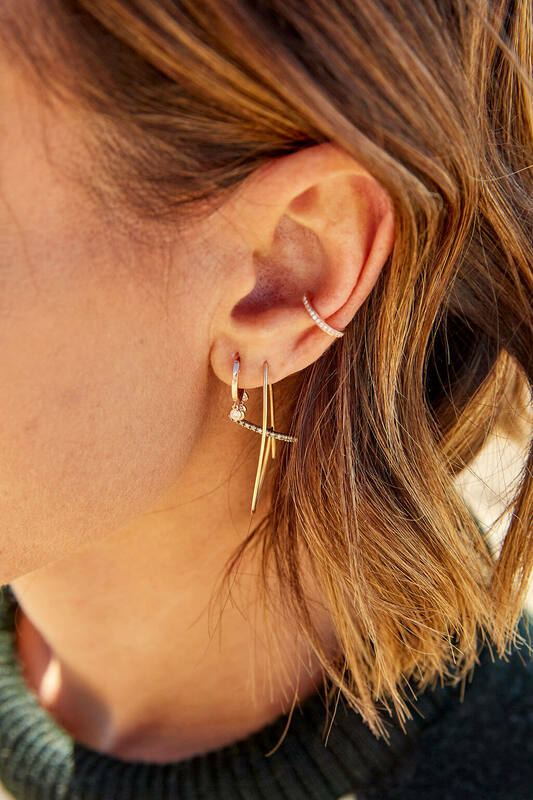 I know, it sounds bizarre, but with a little creativity it’s such a cute way to add some fun to your look and stand out from all those simple studs out there. This trend has been turning heads everywhere from Instagram, to the runway, to the red carpet. I think it’s about time it made its way to our daily looks. And sure, I get that it sounds a bit tough to pull off, any new trend can be at first, but it’s not as hard as it seems. It’s a quick way to step-up your look, especially if you’re into anything minimalist. 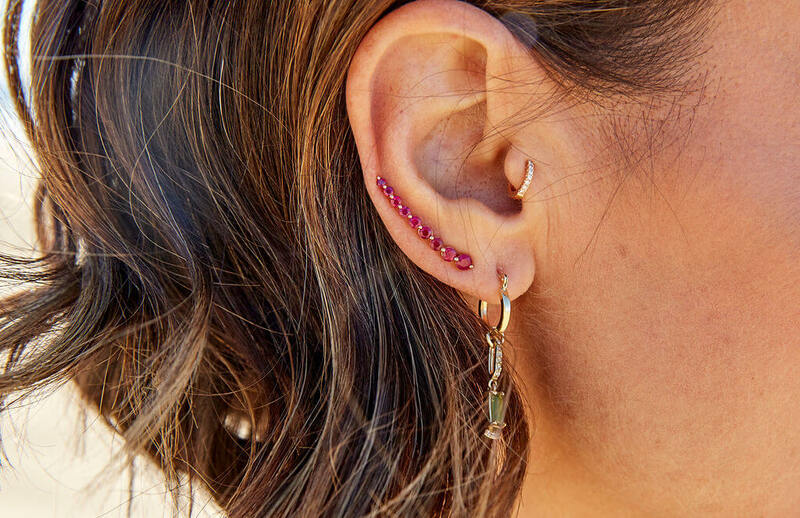 For 2019 trends, stylists called this trend a “decisive and energetic approach to style”, which shows in the bold confidence of the wearers on the runway. 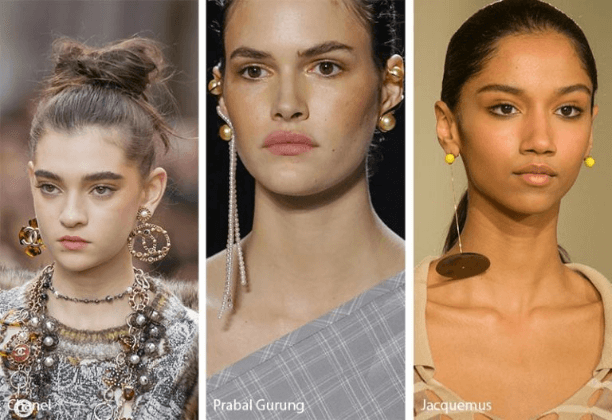 This trend also took the opportunity to play with dimensions and sizes, with some looks seen with one side in simple studs and the other side in the spotlight with dangling and sparkling earrings. 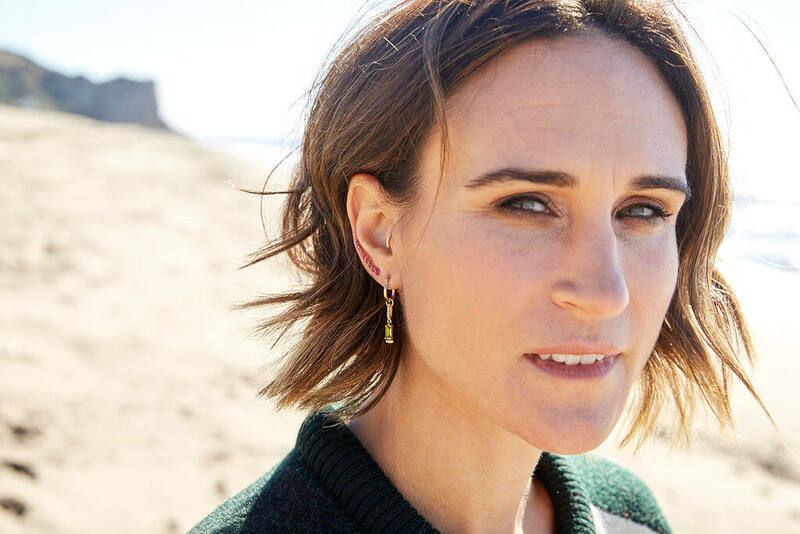 In some cases, designers pulled Art Deco inspiration, like Jacquemus, or classic and delicate feel in beautiful pearls like Prabal Gurung. Of course, the most important thing to master is mismatching while still looking put-together. You don’t want people to think you just threw earrings on in the dark, but you really thought it out, you know? But don’t worry, my tips will do most of the thinking! Sure, the earrings are mismatched, but they still have matching qualities. Confused? Totally okay! Just think of pairing similar colors, shapes, and metals. 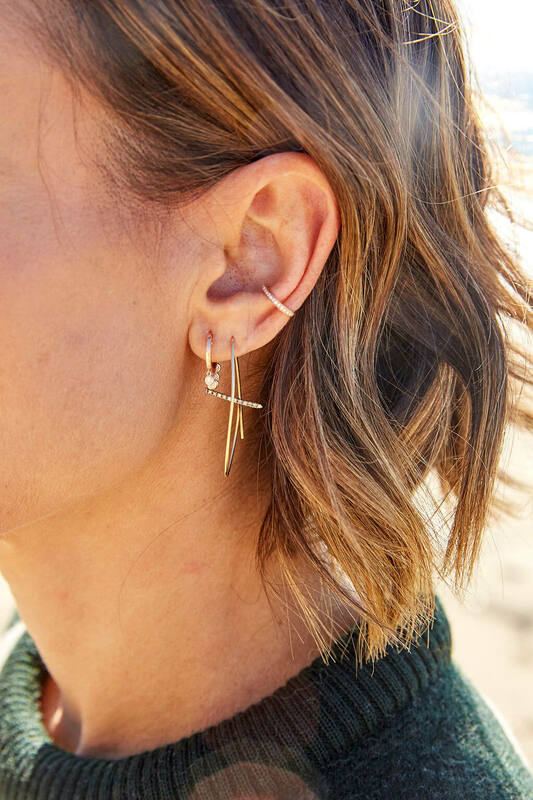 Pair a long gold earring, with a gold stud. Or a fun statement earring with an ear climber. While it’s about mixing it up, there’s still some balance to it too. I love the look of a small hoop paired with a long, simple, dangly earring. If you just want to test the trend, try wearing studs that are a matching theme but different. Think moon and sun or something similar. And then step it up on your next girls’ night out, because it’s totally doable!